Kohort is an online web application that allows a user to connect their community. They can do this by arranging events, membership directories, mailing lists, discussions and interacting with other groups. With amazing privacy settings, it allows you to maintain your privacy and share only what you want. Kohort has tried to make managing groups easier for you. Managing groups is undoubtedly a time consuming task and when Kohort does it for you, all you need is to create a group and use it like any social media site. It does the rest. Kohort seems to realize the importance of business videos, as their homepage has only 3 things: a startup video demo, a signup box and a list of their investors. Talk about keeping it simple. The entire video has been created using 2D cartoon imaging and motion graphics. An element of fun has been added to it by implying that Kohort is for use by every species out there. Blue and its shades seem to be their corporate colors. The website apparently has plenty use of it for reinforcement. The main focus of the video is to tell the viewer of Kohort’s advantages, rather than explaining how to use their service. Kohort’s startup video demo is an excellent example of how to focus on the advantages of a new service, rather than explaining how to use it. That aspect is one that needs to be addressed later. Initially, startups need to attract people to use their service. 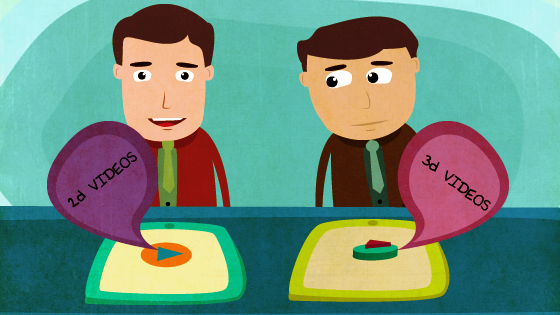 Explainer video: Why 2D videos are engaging than 3D? How did you get to be this excellent? Its incredible to see an individual put so much passion into a subject. Im glad I came across this. Im glad I took the time to read on post the very first paragraph. Youve got so a lot to say, so a lot to provide. I hope individuals realise this and look into your page. Oh my goodness! Youre so appropriate! I really dont think anyones put it that way just before! You have to be an expert on this because you just created it so straightforward to recognize, made me wish to discover a lot more about it! Do you, like, study this subject due to the fact you seem to be so in tune with the issue? Maintain it up, man. Youve got a great mind for it!